Would you like to refresh the look of the kitchen within your Battersea home without having to pay out for a whole new kitchen? Glass kitchen splashbacks have proven an easy, sure-fire and affordable way to give a Battersea kitchen a new, on trend contemporary look. Tired, old-fashioned kitchens can be enhanced enormously by the addition of eye-catching glass kitchen splashbacks. 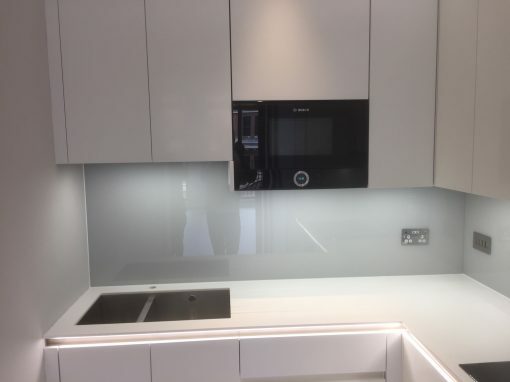 The smooth, transparent, coloured surface of glass kitchen splashbacks draws the eye creating a key focal point within the modern Battersea kitchen. 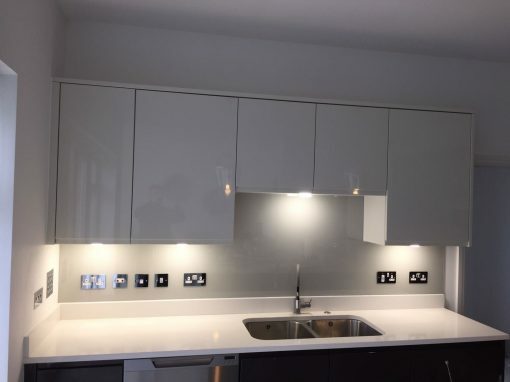 Made to measure kitchen splashbacks made of low iron toughened glass are easy to fit and incorporate into a new or existing kitchen within the Battersea home. 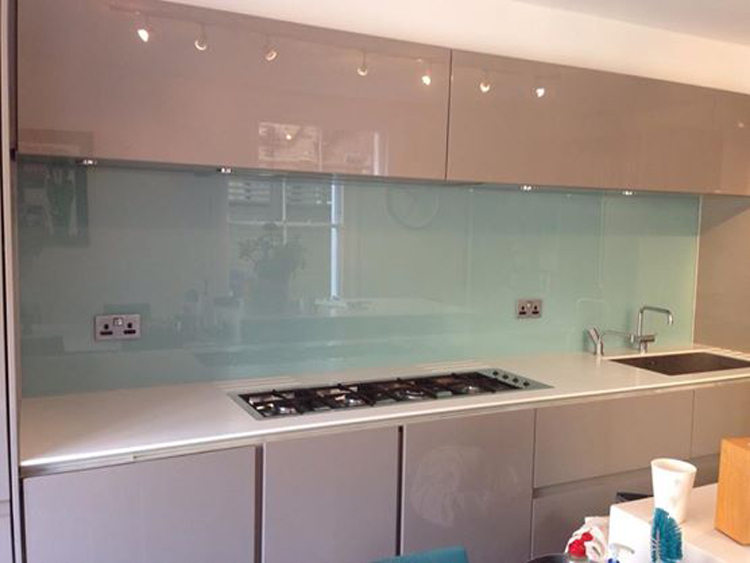 Glass kitchen splashbacks can be fully customised to meet the exact colour specification you choose. 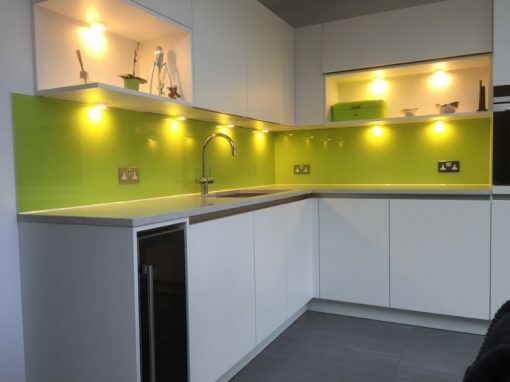 By choosing your glass kitchen splashbacks in contrasting colours such as red, cyan, lime green or aubergine will you will immediately brighten your kitchen and modernise the overall look. 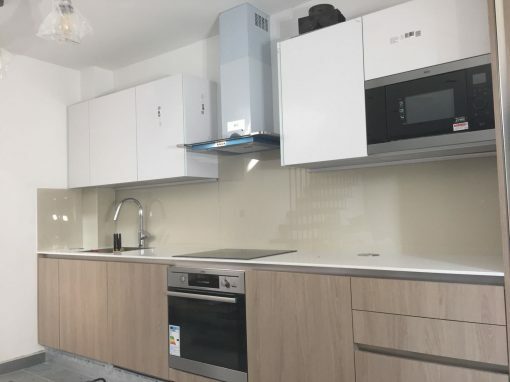 Alternatively glass kitchen splashbacks in muted colours such as grey, ice blue and aqua can provide a neutral, sophisticated backdrop for your kitchen. If you don’t want to splash out for a whole new kitchen for your Battersea home, choose kitchen splashbacks instead. Contact Southern Toughening Glazing Ltd today to purchase the perfect splashback to transform your kitchen.